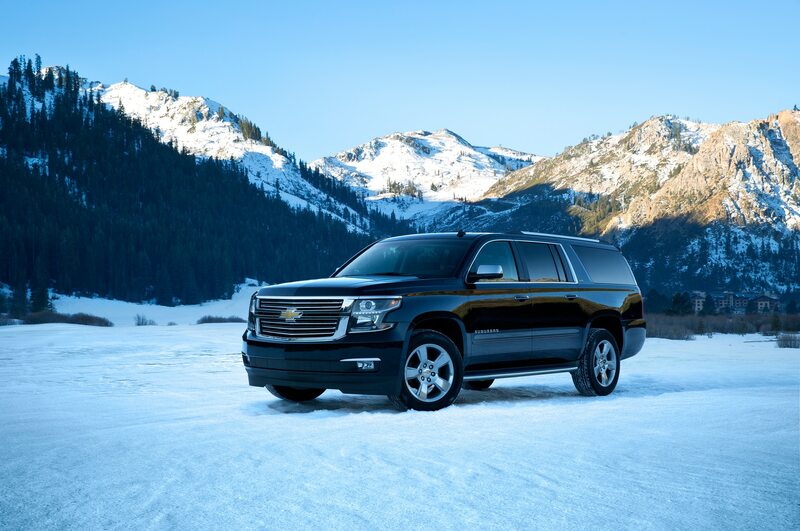 For buyers of the Chevrolet Suburban and, to a lesser extent, the Chevrolet Tahoe, it seems that no other vehicle will do. 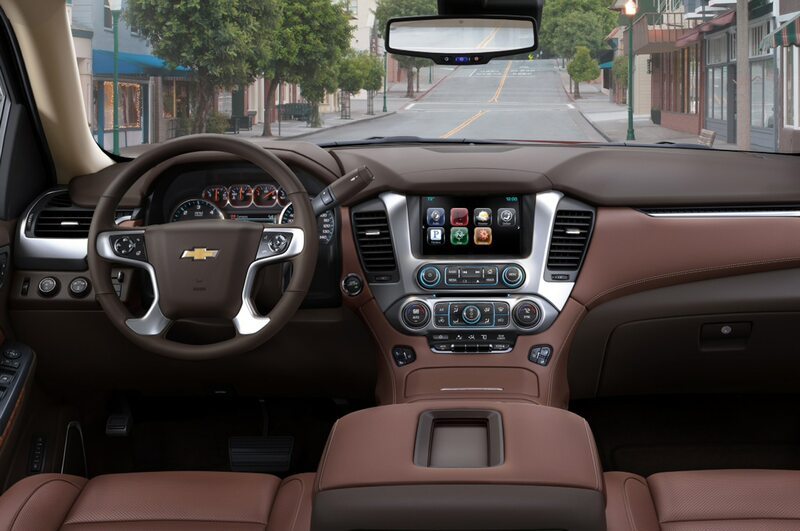 Fully half of all buyers shopping for full-size SUVs choose Chevrolet. (Add their GMC Yukon equivalents, and GM has three-quarters of the full-size-SUV market.) 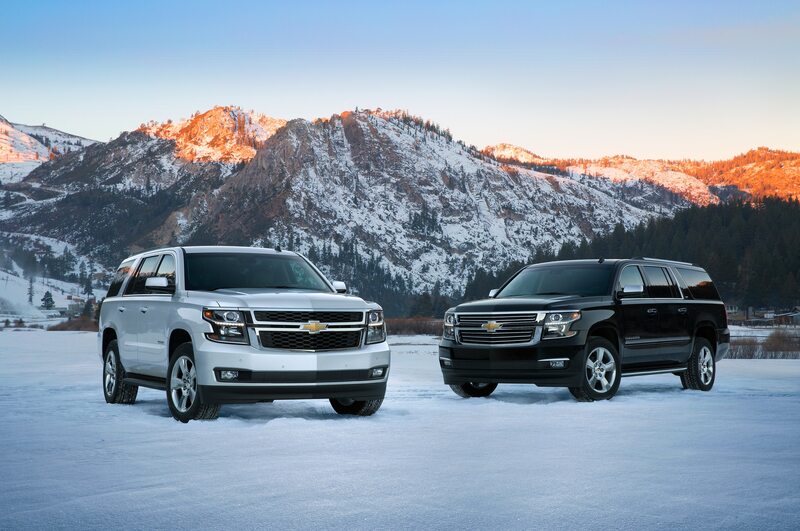 In redesigning its family of large sport-utilities, GM appears to have been very conscious of that fact, as the 2015 Tahoe and Suburban are a very careful evolution of the species. 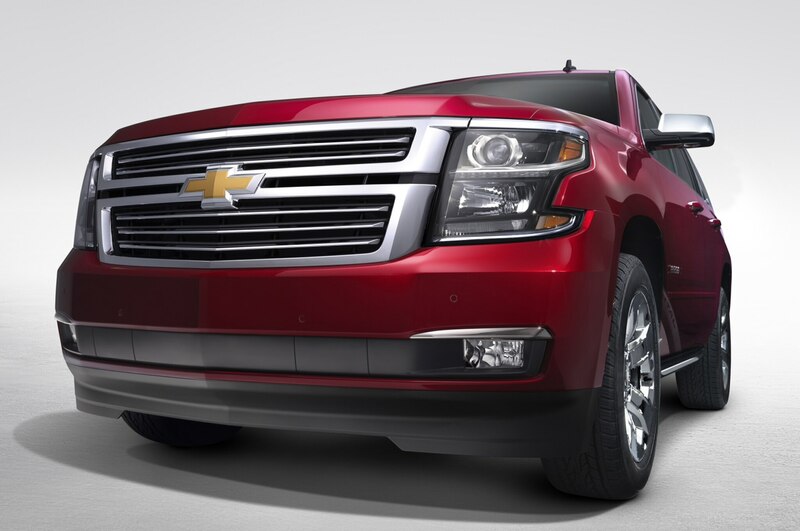 The Suburban is the U.S. auto industry’s oldest nameplate, having been in continuous production since 1935. 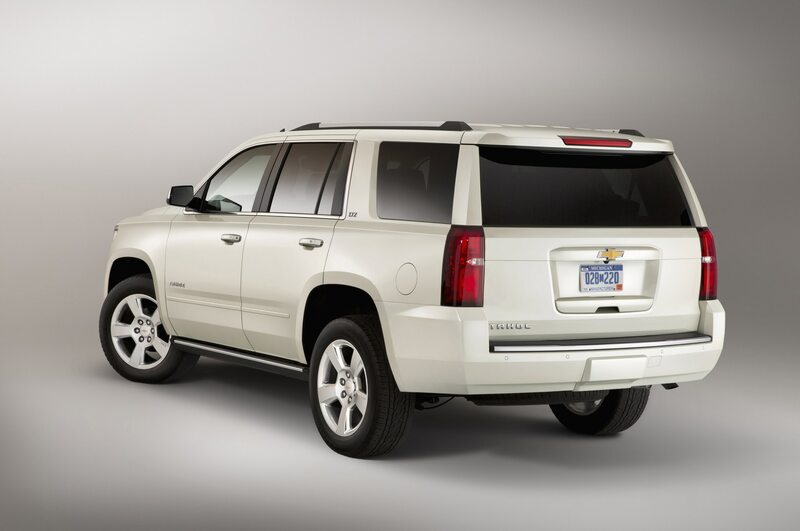 Originally sold as both a Chevrolet and a GMC, it has been exclusive to Chevrolet since GMC rechristened its version the Yukon XL for the 2000 model year. 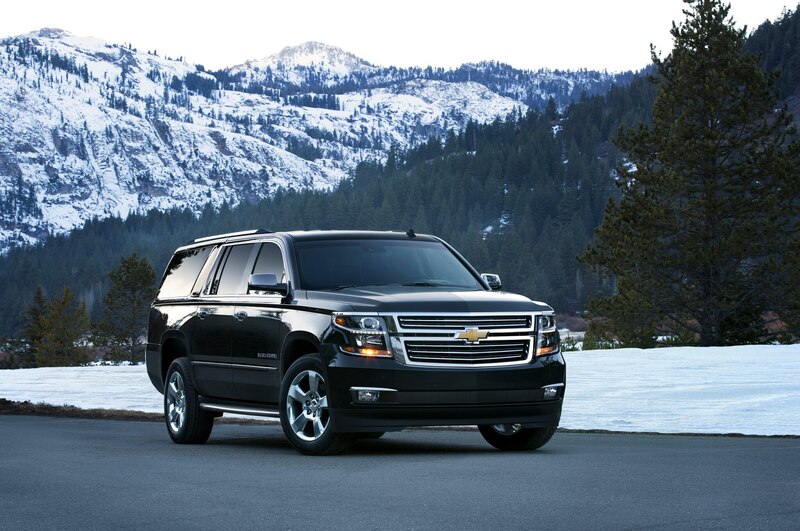 Over the course of time, the Suburban has been a two-door, a three-door, and a four-door. The Tahoe has been around since 1995, but it didn’t gain four doors—and with them real market relevance—until the following year. Both nameplates enjoyed their peak popularity in the early George W. Bush years, when full-size SUVs captured as much as seven percent of the U.S. auto market. Today, the segment has settled back down to its historic two-percent slice of new-car sales. Even so, these vehicles’ outsized profits make this a segment worth staying in. 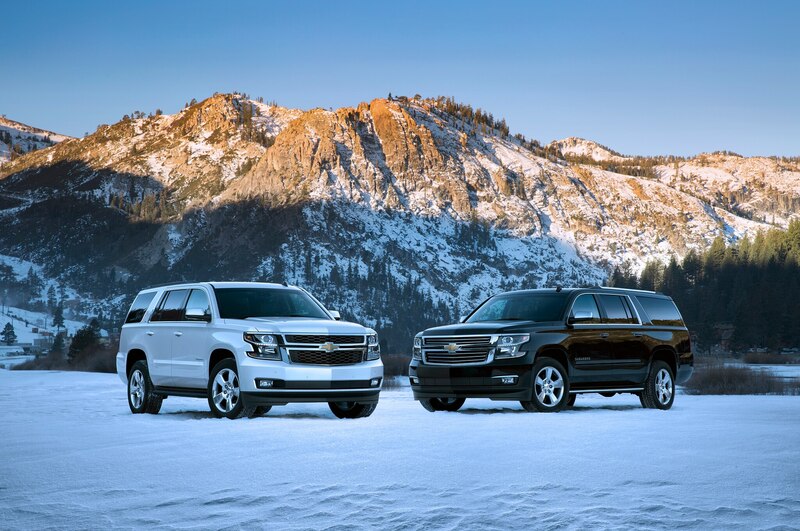 The 2015 Tahoe and Suburban are undiminished in size. 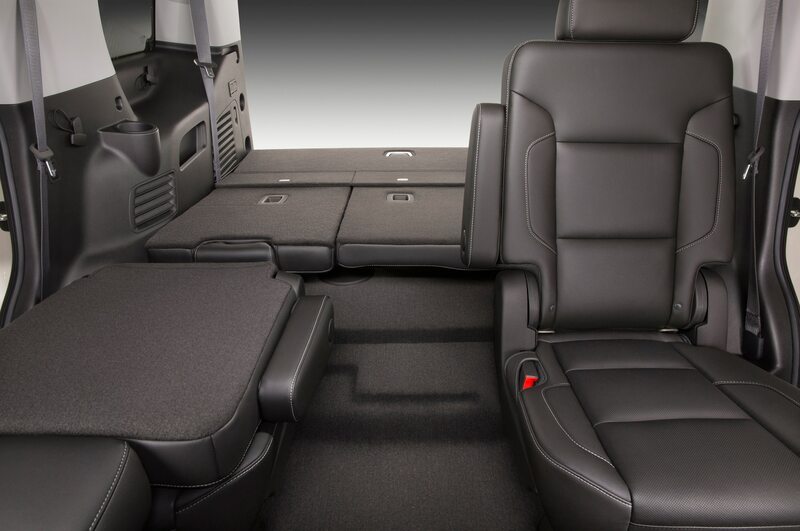 Both SUVs ride on the same wheelbase as before: 116 inches for the Tahoe, 130 inches for the Suburban. Both have grown by 2 inches in length and by an inch and a half in width. Height is the only dimension that has decreased, by about 2.5 inches (for both 2WD and 4WD versions). Nor have these big boys achieved any significant weight loss. Depending on the model variant, they’re within 100 pounds of their previous weights, ranging from 5466 pounds for the rear-wheel-drive Tahoe to 5896 pounds for the four-wheel-drive Suburban. Whereas crosstown rival Ford recently announced that it will be replacing the 5.4-liter V-8 in its Expedition and Lincoln Navigator with a turbocharged V-6, Chevrolet is sticking with a normally aspirated V-8 for the Tahoe and the Suburban. At 5.3 liters, the displacement is the same as before, but this is the new “Gen 5” version of the 5.3-liter, which made its debut in the redesigned Silverado pickup. Power and torque output increase to 355 hp and 383 lb-ft, up from 320 hp and 335 lb-ft for the previous V-8. 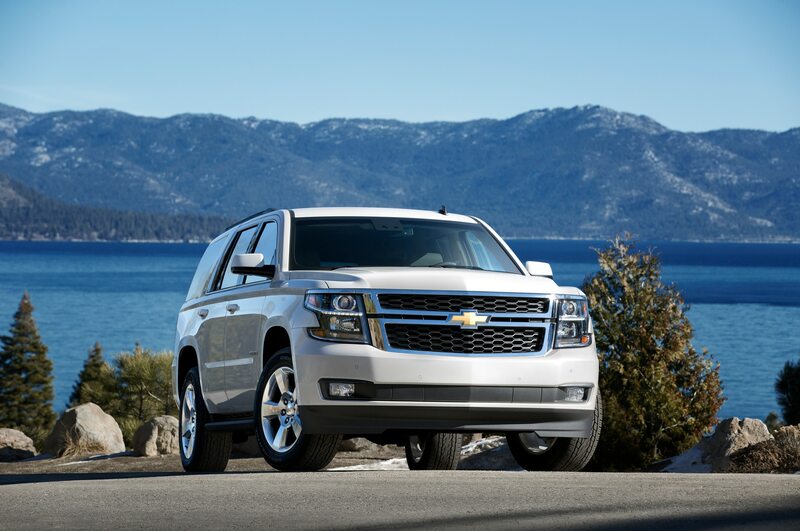 Paired again with a six-speed automatic, the new engine helps the 2015 Tahoe and Suburban squeeze another mile or two out of each gallon of unleaded: rear-wheel-drive versions of both trucks manage 16/23 mpg (city/highway), while the more popular 4WD models get 16/22 mpg (Tahoe) and 15/22 mpg (Suburban). Full-size SUV buyers who are keenly interested in fuel economy — anyone? 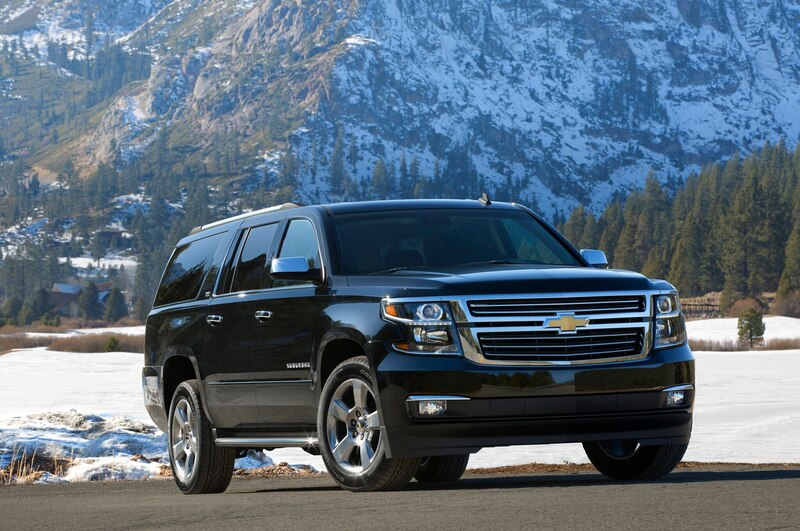 — will be disappointed to learn that the Tahoe hybrid is no more. In our drive from Lake Tahoe to Sacramento, the 5.3-liter proved to be adequately powerful—the 0-to-60-mph time for the Tahoe 4×4 has dropped from more than 8 seconds to an even 7.0 seconds. The new V-8 features variable valve timing and direct injection, but the intake noise you often find in direct-injected engines is completely absent. The engine also has the ability to shut down four cylinders under light load, and while the in-cluster display indicates when that happens, it is otherwise not discernable. One quibble: while the 5.3-liter is well matched to the six-speed automatic, when you do want to manually downshift (which is done using the plus/minus button on the shift lever) you first have to move the column shifter out of D and into M.
Despite the vehicles’ size, more than one engineer told us that a goal for the new Tahoe and Suburban was that they “drive smaller than they are.” To that end, you might expect a lower step-in height, a tighter turning circle, or a more sloped hood to provide better sight lines. You won’t find any of them. 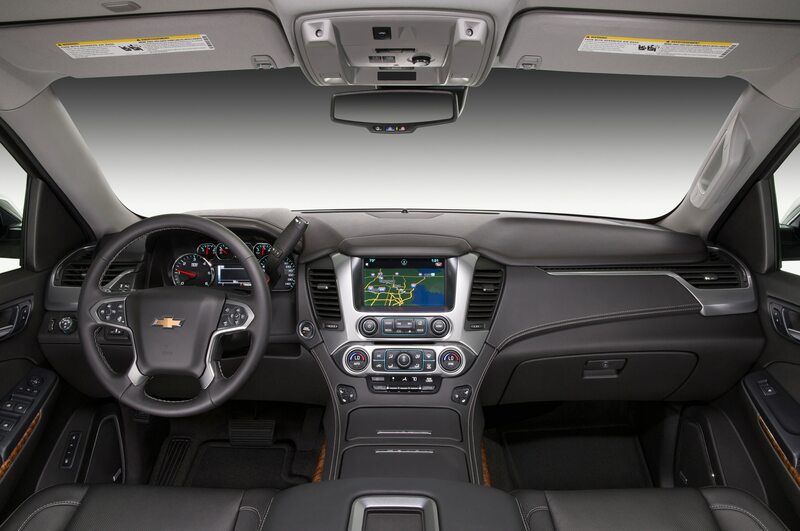 Instead, GM added a host of new driver-assistance systems, which don’t really make these big SUVs seem small from behind the wheel but do make them easier to drive. 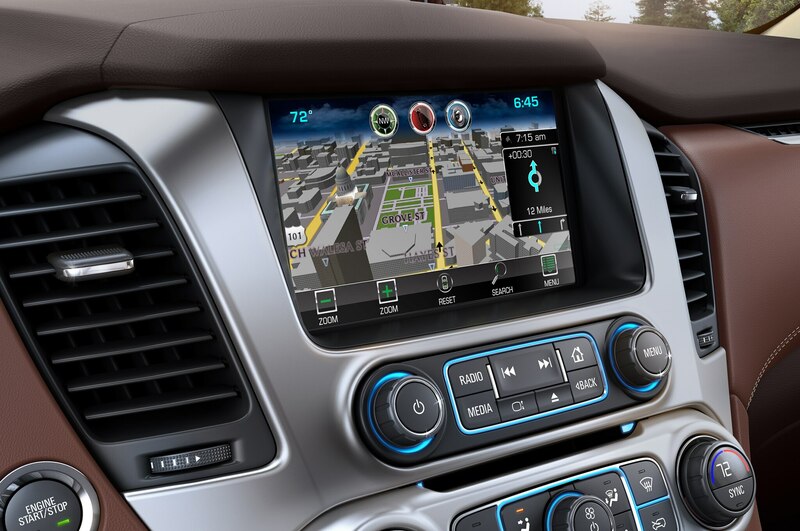 A backup camera is now standard, and rear cross-path detection is optional. Audible park assist can now be had for the front as well as the rear to aid in docking maneuvers. In addition to blind-spot warning, forward-collision warning with automatic braking and lane departure warning are available. The big utes may not drive smaller, but they do drive more confidently, thanks to extremely well-tuned electric power steering and improved brake pedal feel. 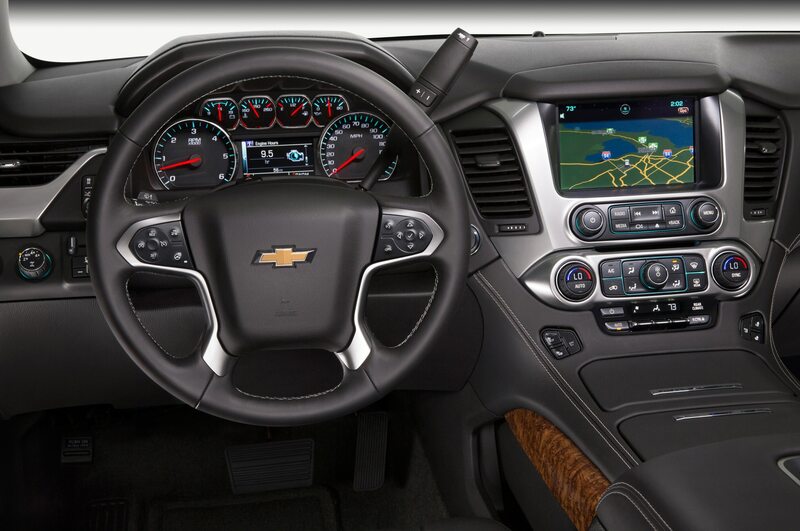 Whereas the new Silverado pickup has a large, blocky instrument panel, the Suburban/Tahoe interior is more cockpit-like, with a new dash flowing into a wide center console. Naturally, the large console creates a vast amount of storage space; there is also an abundance of power points and USB outlets. We were more impressed, though, with the well-thought-out switchgear. Our top-spec LTZ test car sported the obligatory touch screen, but there are still plenty of knobs for easy access to the most-used audio and climate-control functions, and buttons are grouped to help make everything easy to find. And, for the first time, the cabin’s design and materials reflect the fact that these trucks often share garage space with a luxury car. The dash has greater dimension than before; there are fewer hard plastics; and well-padded surfaces cover the door panels and armrests. The seats have been redesigned, which is good, but we still found the driving position awkward for lack of a driver’s dead pedal. 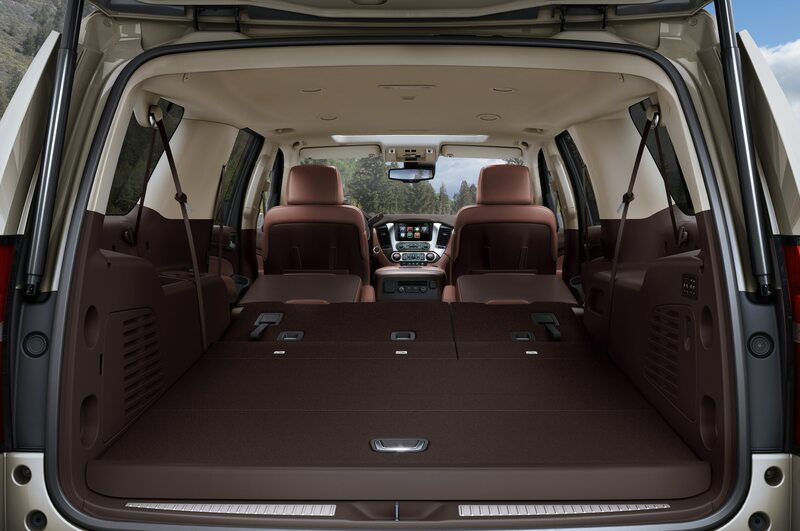 Cargo volume, whether you’re measuring behind the third row, the second row, or the front seats, has shrunk slightly in both the Tahoe and the Suburban. 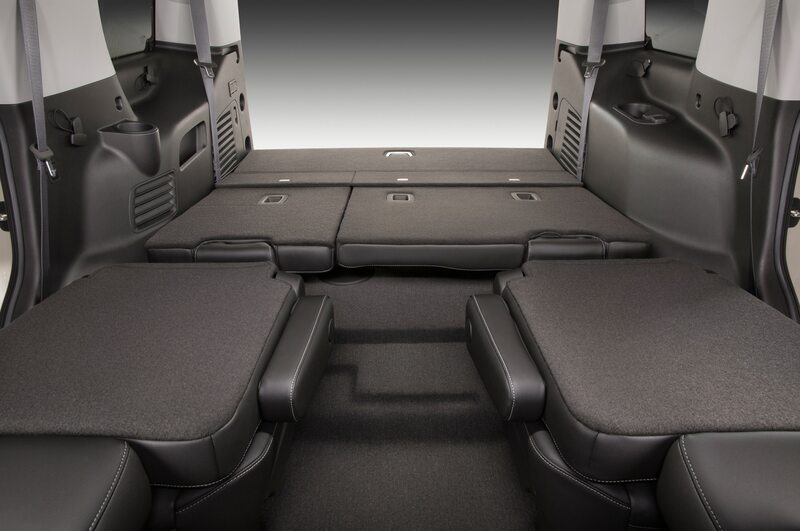 The reason is that the cargo floor had to be raised by several inches to allow the second- and third-row seats to fold flat. It’s not the most elegant solution—and it’s one downside to the solid rear axle—but it beats having to remove the third-row seats, a heavy chore that owners hated. Power folding of both rows is available, and the second-row seats can do a quick tumble at the push of a button to allow access to the third row. 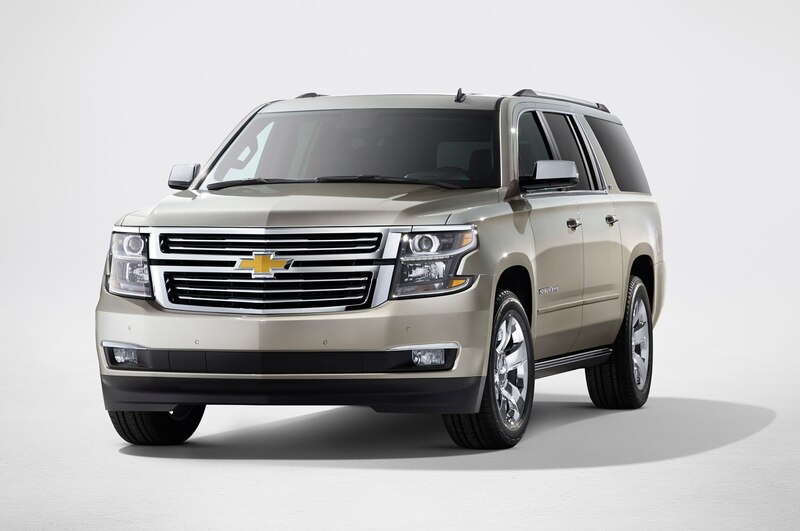 Although not quite as commodious as it was previously, the Suburban is still a supersized family bus. 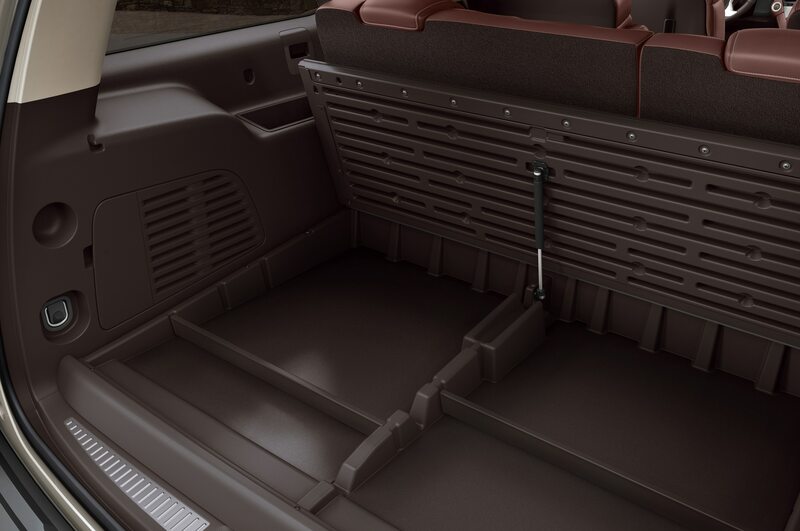 Its 39.3 cubic feet of cargo space behind the third seat (versus 45.8 cubic feet previously) should easily accommodate a family’s luggage for a weeklong vacation and/or an extra-large dog crate. 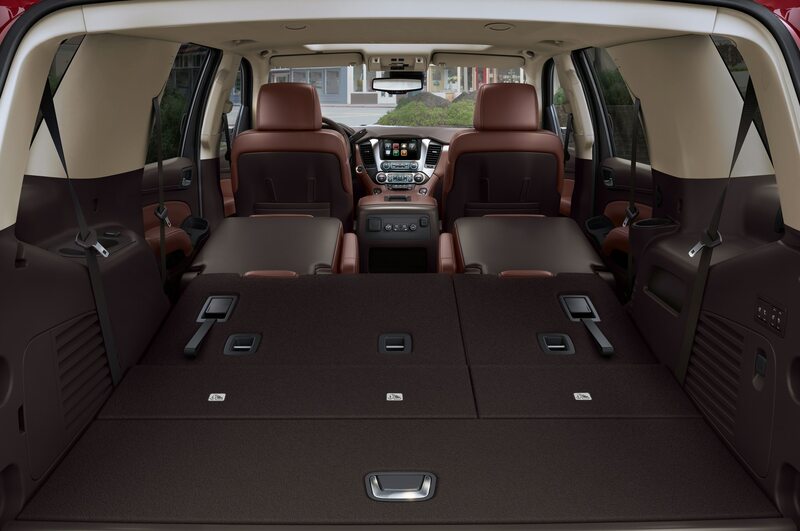 If you’re looking for maximum luggage space while still using all three rows of seats, the 2015 Suburban is going to remain at the top of your shopping list. It’s harder, though, to make a case for the Tahoe. 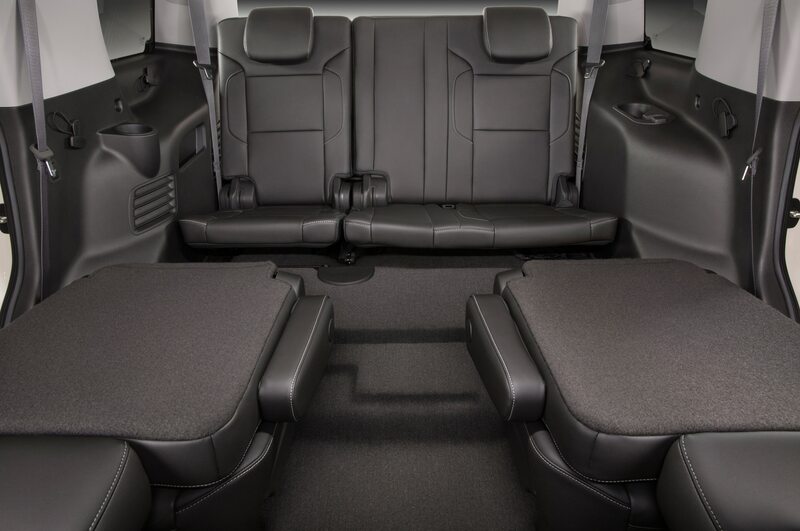 Chevrolet’s own Traverse has significantly more cargo space (behind any of its three rows) and a much more usable third-row seat in a similar-sized package. The only real advantage for the Tahoe is trailer towing, where the V-8-powered, body-on-frame SUV puts the V-6 Traverse crossover, well, on the trailer. 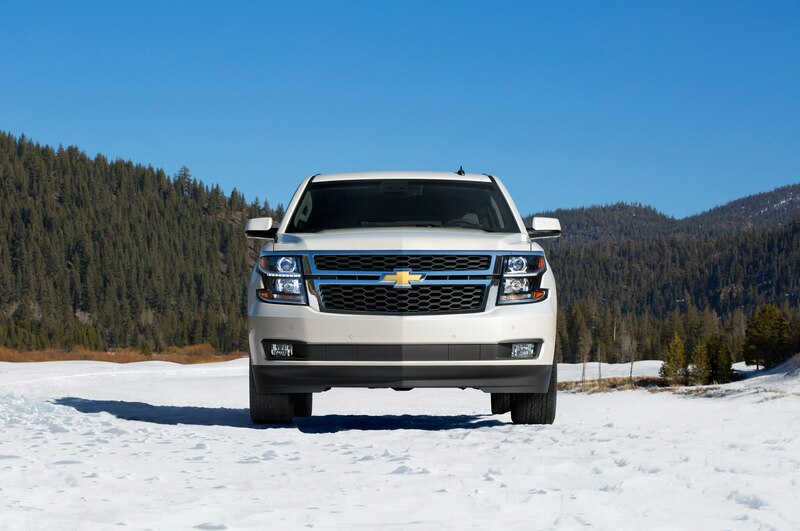 The 2015 Tahoe is rated to tow 8600/8400 pounds (2WD/4WD), which is slightly more than before and significantly more than the Traverse’s 5200 pounds. 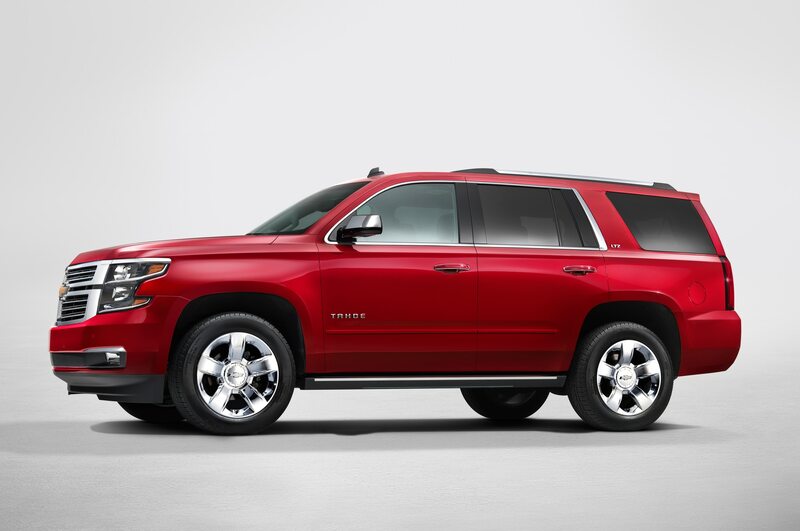 For its part, the Suburban also tows with the best of them, although its maximum is slightly less than its smaller sibling’s, at 8000/8300 pounds. 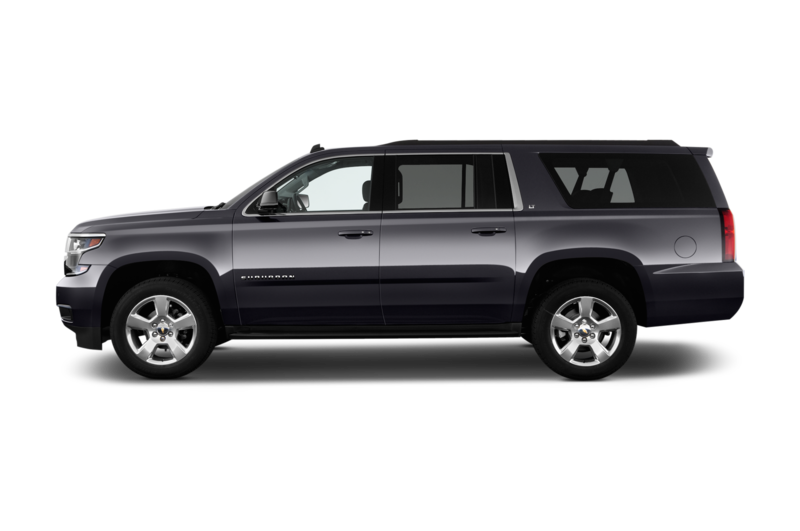 Note that the Suburban 2500, the heavy-duty variant powered by a 6.0-liter V-8 and towed five tons, is no longer part of the Suburban lineup. 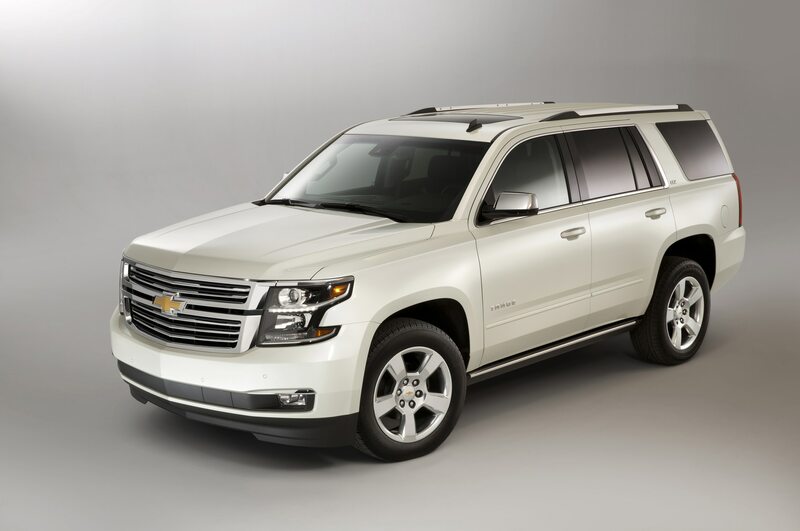 Familiar but pleasantly updated, there is little about the 2015 Tahoe and Suburban to shock their large cadre of repeat buyers—with the possible exception of the number at the bottom of the window sticker. Although the base two-wheel-drive LS versions of both trucks have increased by just $1000 (to $45,595 for a Tahoe $48,295 for a Suburban), the more popular, higher-trim 4x4s are up by a lot more. 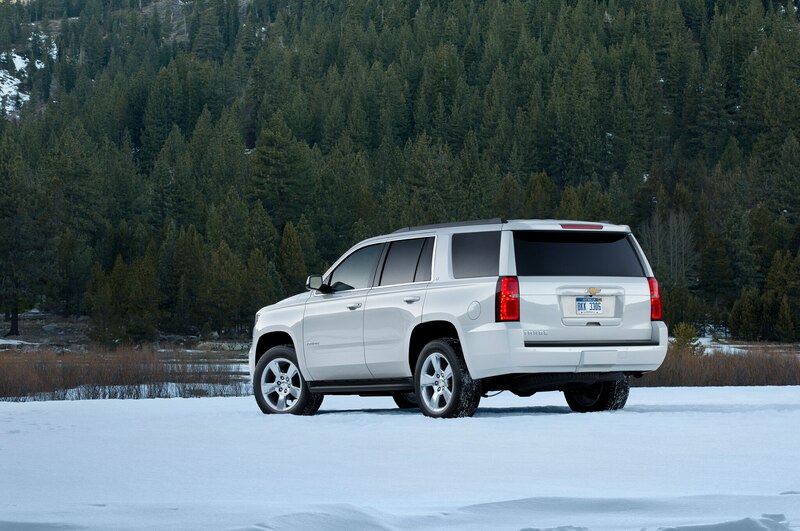 The starting price for the Tahoe LT 4×4 has grown by $2510 (to $53,995) and by $2650 for an LTZ. 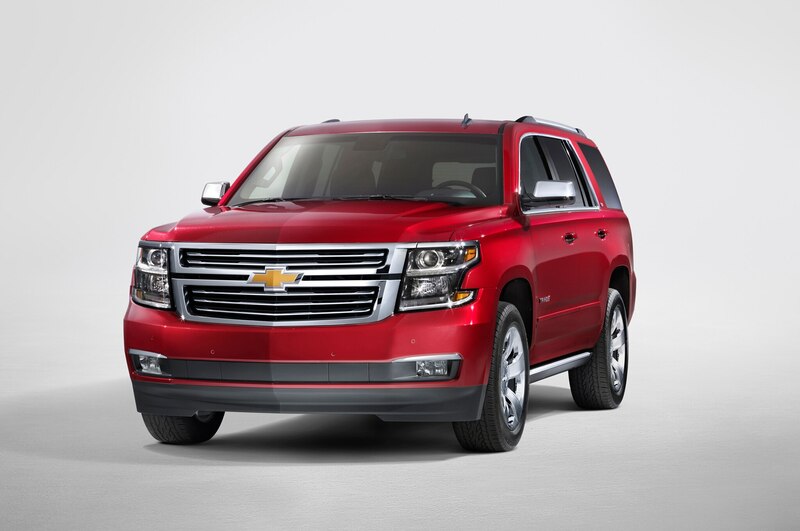 The Suburban 4×4 LTZ jumped $3300, to $65,695. Tap into the richer vein of options, and prices climb still more. 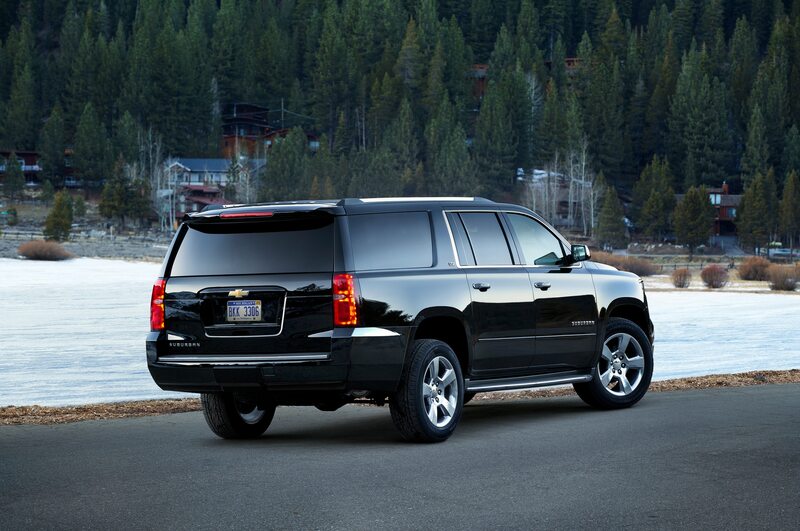 The Suburban 4×4 LTZ we drove sported a sticker price of $71,090. 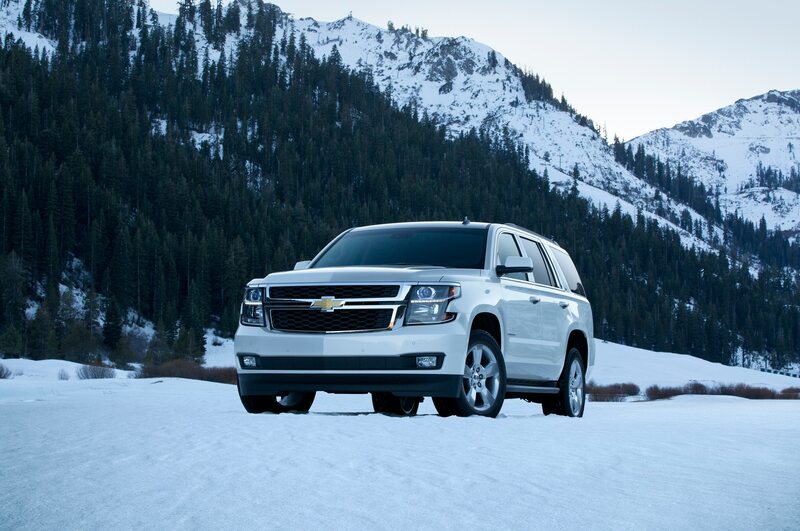 Overall, the strengths and character of the 2015 Tahoe and Suburban remain as before. 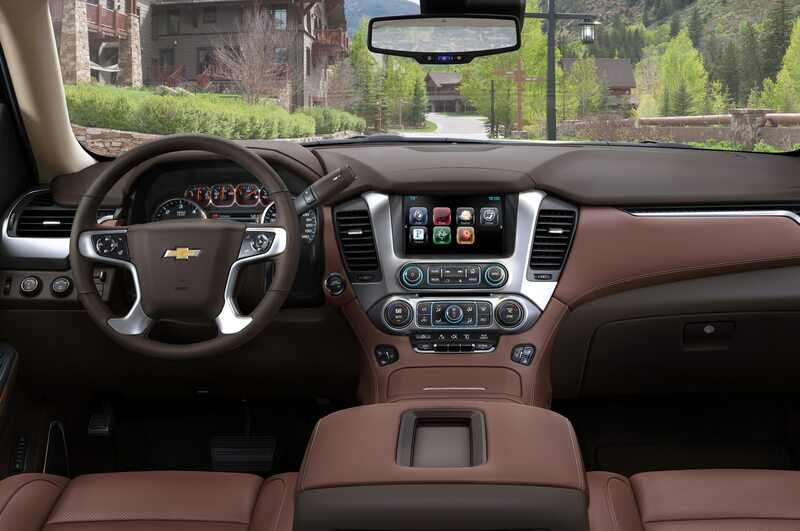 The upgraded interiors, longer equipment list, and quieter ride make them more credible premium products—which is a good thing, considering their more premium price. 39 / 121 cu. ft.